Green South had an early start and headed off to windy Rockingham. Wendy Dolton and her team of Bev Bradshaw, Audrey Stevens (who filled in at short notice) and Trish Hall had a slow start but fought back well to finish only four down 20-24. Viv Thompson and her girls Debbie Capper, Kay Garbutt and Susan Heldt also had a slow start but fought hard to loose by ten, 17-27. Sue Griffith and the team of Marg Booth, Fay Doran and Julie Martin were neck and neck for most of the game but finished with a nine shot win 21-12. Overall it was a loss by 5 58-63 with 1-5. Even though not a winning week we enjoyed the company and had a great day. We would like to wish Val Still a speedy recovery and look forward to seeing her back on the green. Footnote: The team manager could do with a kick start in memory- forget her lunch and the cards. 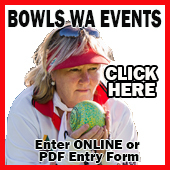 It was another beautiful day for bowling @ Manning where we were hosted Mosman Park…….and were on the hunt for a good win to shore up our 2nd place position on the ladder. Word is that Bernice’s rink had a very tight tussle on their hands and had to work hard to hang onto the lead throughout the day. 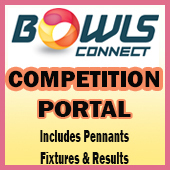 Some great playing by the whole team and some superb skippers bowls ended with the rink taking out the point, 23-20. Mavis’s rink had a disappointing finish to their day. After leading comfortably from the start, their opposition managed to claw their way back to be 2 shots behind going into the last end. Unfortunately things didn’t go to plan and Manning dropped an undisclosed amount on the last end to lose their rink. Saff’s rink had a good day with the first handful of ends being a game of 1’s. But when the 1’s are being added to the Manning side of the scorecard, it’s no problem. The whole team put down some fantastic bowls with the end score 21-8. There hasn’t been an official word as yet, but I do believe this score will be taking out the Pots for this week. We are currently 2nd on the ladder and the goal for next week is have another good win which will take us to the top. Mens Saturday Wrap-up 3/11 Our synthetic is tip-top!